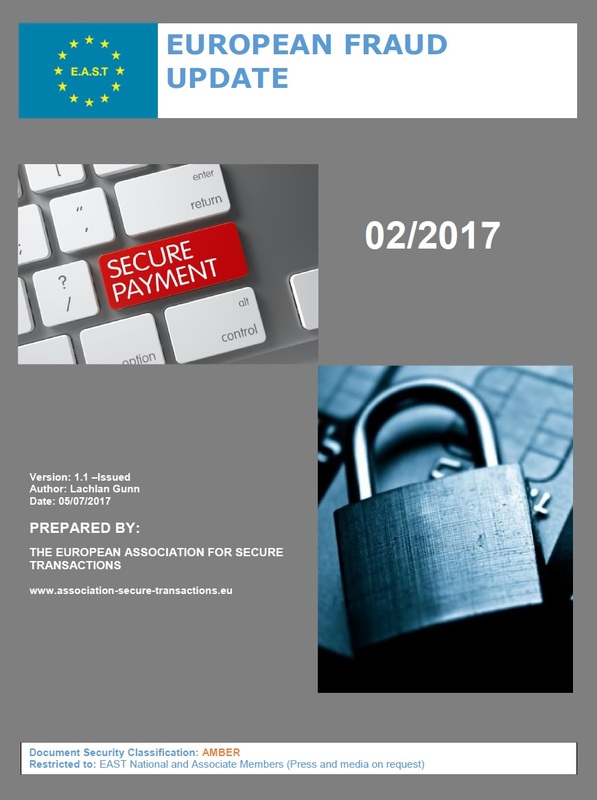 EAST has published its second European Fraud Update for 2017. This is based on country crime updates given by representatives of 21 countries in the Single Euro Payments Area (SEPA), and 5 non-SEPA countries, at the 42nd EAST meeting held at Europol on 7th June 2017. Payment fraud issues were reported by ten countries. One country reported a new fraud type where the card Primary Account Number (PAN) is compromised in China, leading to fraud in China. In these cases the CPP is sometimes detected, but most of the time it is not. Another country reported data compromise due ‘vishing’ attacks (voice phishing), ‘phishing’ websites and ‘SMiShing’ (SMS phishing). The EAST Payments Task Force (EPTF) is looking at security issues affecting payments with a view to the gathering, collation and dissemination of related information, trends and general statistics. ATM malware and logical security attacks were reported by fifteen countries. To date in 2017 EAST has published ten related Fraud Alerts. Two of the countries reported ATM malware and fourteen reported the usage (or attempted usage) of ‘black-box’ devices to allow the unauthorised dispensing of cash. Five countries reported ‘black box’ attacks for the first time, further indication that this attack type is continuing to spread. To help counter these threats Europol, supported by the EAST Expert Group on All Terminal Fraud (EGAF), has published a document entitled ‘Guidance and Recommendations regarding Logical attacks on ATMs’. It covers mitigating the risk, setting up lines of defence and identifying and responding to logical attacks. This is available in four languages: English, German, Italian and Spanish. Card skimming at ATMs was reported by nineteen countries. The usage of M3 – Card Reader Internal Skimming devices continues to spread. This type of device is placed at various locations inside the motorised card reader behind the shutter. Nine countries reported such attacks and, to date in 2017, EAST has published six related Fraud Alerts. International skimming related losses were reported in 49 countries and territories outside of the Single Euro Payments Area (SEPA) and in 9 within SEPA. The top three locations where such losses were reported are the USA, Indonesia and the Philippines. Skimming attacks on other terminal types were reported by ten countries and five countries reported such attacks on unattended payment terminals (UPTs) at petrol stations. Two countries reported the usage of card reader internal shimming devices at POS terminals. Eight countries reported incidents of Transaction Reversal Fraud (TRF). One country reported a significant increase in such attacks and two countries reported such attacks for the first time. 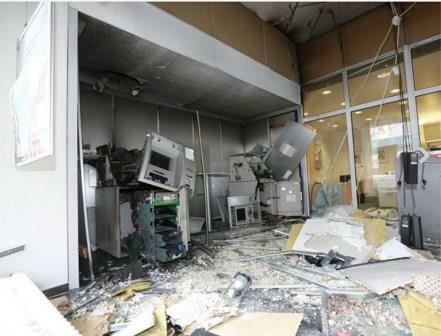 Ram raids and ATM burglary were reported by nine countries and nine countries reported explosive gas attacks. To date in 2017 EAST has published nine related ATM physical attack alerts. The use of solid explosives continues to spread and six countries reported such attacks. This is of increasing concern to the industry due to the risk to life and to the significant amount of collateral damage to equipment and buildings. Explosive attacks on ATMs are a rising problem in Europe and in many other parts of the world. In a report covering the first six months of 2016 EAST reported a total of 492 explosive attacks in Europe, a rise of 80 percent compared to the same period in 2015. Such attacks do not just present a financial risk due to stolen cash, but also are the cause of significant collateral damage to equipment and buildings. Of most concern is the fact that lives can also be put in danger, particularly by the usage of solid explosives. Over the past few years the Netherlands has been particularly hard hit by such attacks. 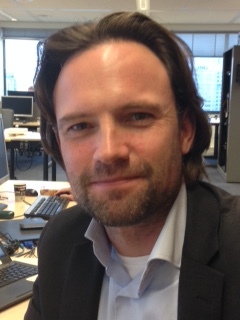 At the upcoming EAST Financial Crime & Security Forum (EAST FCS 2017) Job Galesloot, Security Officer ING Domestic Banking, will share the Dutch experience and also how neighbouring countries have been impacted. Job is a specialist in physical crimes against ING Bank branches. His main concerns are explosive gas attacks on ATMs, physical attacks on the bank’s branches and physical or verbal aggression against branch staff. Since 2015 he is the Physical Security Officer for ING Domestic Banking. Responsible for threat analysis, trend monitoring and development of countermeasures. In 2016 Job chaired the Dutch Banking Association Expert Pool IBNS which tested several IBNS systems. IBNS stands for Intelligent Banknote Neutralisation Systems. 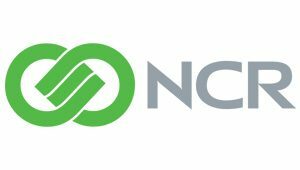 Over 150 delegates will attend from ATM networks, banks, law enforcement, vendors, and EAST national and associate members. There are some sponsor and exhibitor slots still available so, if you are in the business of ATM crime prevention and wish to take a space alongside a key audience, see our Sponsorship Brochure for details. The seventh meeting of the EAST Expert Group on ATM Physical Attacks (EGAP) took place on Wednesday 8th March 2017 at Europol in The Hague. EAST EGAP is a European specialist expert forum for discussion of ATM related physical attack trends, attack methodologies and counter-measures, threat protection, and for the provision of regularly updated lists of manufacturers of ATM protective devices. The meeting was chaired by Mr Graham Mott and was attended by key representatives from ATM Deployers, ATM Networks, Security Equipment Vendors and Law Enforcement. The focus of the group is on topics and issues raised by EAST National Members, which represent 35 countries with an installed base of 1,411,870 ATMs. Outputs from EAST EGAP are presented to meetings of EAST National Members. There will be an EAST EGAP workshop at this year’s EAST Financial Crime & Security Forum (EAST FCS 2017). On Day One of the event Graham Mott will cover ‘Traditional Attacks’, ‘Current Physical Attack Types’, ‘Counter-measures’ and ‘Banknote Degradation’. The workshop is open to all those attending the Forum. On Day Two of the event there will be a presentation on the ‘Evolution of Explosive Attacks (Gas and Solid Explosives)’ from the Netherlands and a ‘Case Study on Countering Explosive Attacks’ from a Regional Intelligence Unit of the UK Police.